Becoming bilingual opens the door to more people in more places. Many parents want to provide their children with diverse language skills to interact more fully in an increasingly interdependent world community. Ultimately, immersion learners benefit cognitively, exhibiting greater nonverbal problem-solving abilities and more flexible thinking. Acquiring a new language is especially advantageous at a young age, as the pronunciation, intonation and structure comes much more quickly and easily. Further, children who learn a second language from an early age consistently show superior mathematical conceptualization, problem solving skills, verbal acumen, and creativity. At La Casa Montessori School, we believe strongly in individualized attention so you will find our teacher/student ratio is lower than at other schools. In our classrooms, children speak the language they feel comfortable speaking. 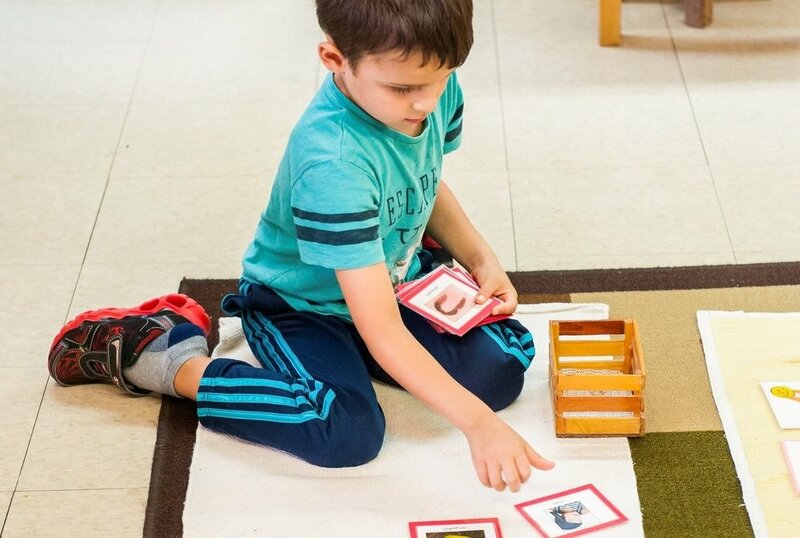 Meanwhile, teachers use —Spanish as their primary target language while supporting with body language, context, gestures, intonation, and visual aids to assist in the learning process.. Parents are typically amazed by how quickly their child begins to understand basic directions and information in their new language! For more information on language immersion, visit PBS.org/languageimmersion for an interesting unbiased article on the topic.